Canada is providing 7,500 refurbished computers to Syrian refugees and hopes to give them a leg up in school and in job searches with new technology skills training, it announced Monday. The computers are to be distributed by resettlement organisations through an existing Computers for Schools programme that makes computer equipment available “at little or no cost to those who may not otherwise have access to technology and opportunities to learn digital skills,” said a statement. The government also said it would pick up the Can$1.25 million tab. Program partners, which include Microsoft and Facebook, will provide a bundle of complimentary services to the recipients. “Providing technology and skills training will be invaluable to the success of Syrian refugees as they integrate into a society where computer knowledge is very important,” said Science Minister Navdeep Bains. 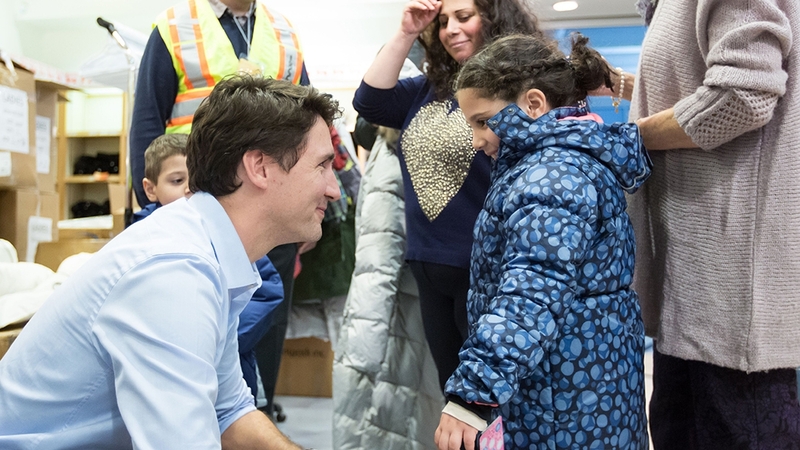 Canada has accepted 25,000 Syrian refugees fleeing their country’s civil war, from November to the end of February, and is expected to take in tens of thousands more by year’s end as it looks to double the total number asylum seekers welcomed from around the world. Meera to follow Imran Khan’s footsteps! © 2019 Daily Telegram | Daily Adalat All rights reserved.